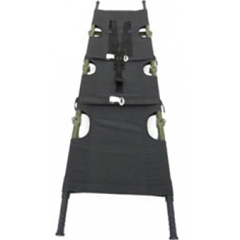 NATO MEDEVAC Stretcher is four folded with telescopic handles and is designed in accordance with NATO standards for ground, naval and air operations. 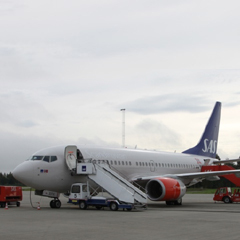 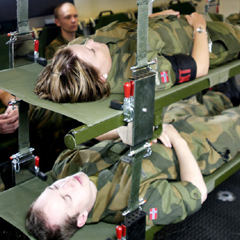 The NODIN NATO MEDEVAC Stretcher is designed and tested in accordance with NATO STANAG 2040 and NATO STANAG 3204. 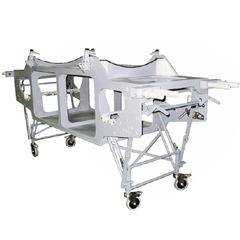 To assure safe handling and transport of the patient on stretcher, the NATO MEDEVAC Stretcher is equipped with a 5 point shoulder harness and two point leg harness to firmly secure the patient. 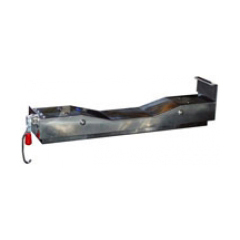 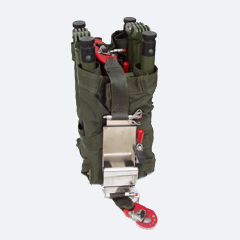 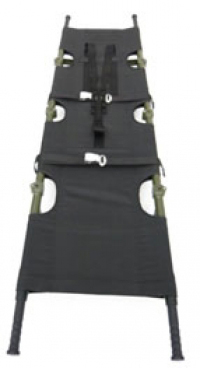 NATO MEDEVAC Stretcher is designed with pinch free hinges and has 6 ea 12mm connecting holes for securing equipment to the stretcher. 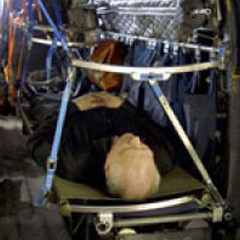 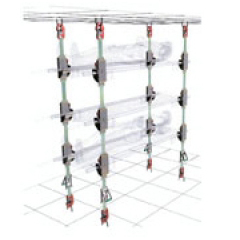 To avoid unintended collapse of stretcher during handling the traverses are firmly secured.